VIDEO SAFE 2 Media Secured. Video Safe 2 is best way to view, manage and secure pictures and videos on your iOS device. With an amazing UI and loads of features it’s a must have for anyone wanting the best in privacy protection. NewAdded option to choose the mute switch behaviour. NewWhen importing edited images are now imported. FixFixed issues with certain videos playing at incorrect speeds. FixFixed crash after importing videos with certain filenames. FixFixed SnoopStopper message fix to remove reference to invalid pins. FixFixed keyboard not showing for the keyboard login on iOS5 when logging out. FixFixed Movie controls not working under iOS5. FixFixed crash when deleting last photo from the viewer. FixFixed extra info being added to USB Export filenames. FixFixed crashes when using the Open In or Share menu on the iPad. FixFixed issue where folders weren't being backed up by iTunes. FixFixed crash in browser when trying to open a popup. FixFixed security type not updating immediately via iCloud if already logged out. FixFixed saving issues of RemoteSafe and FTP Server settings over iCloud. FixFixed duplicates showing on initial run on upgrade from Video Safe iPad. FixFixed constant showing of remote safe setup question after login for some users. FixFixed Chinese showing as Japanese. FixFixed issues with photo viewer and email modal. FixFixed USB import corruption in certain circumstances. FixFixed iCloud option not staying sticky if initially installed with iCloud set to no. FixFixed crash when renaming files in list mode in iCloud. FixFixed moving single image from iCloud folder to local folder causing No Media to be shown. FixFixed custom storing not working for top level folders. VideoSafe2 adds a fantastic new feature - the ability to access movies stored on your Mac/PC over the air, and enjoy them on your IOS device(s). To achieve this we first need to install a little utility we've created for the computer where your files are stored. This is a free Utility that basically tells your iPhone or iPad what videos are available to watch and allows wireless access over your network. If you are an existing longtime user of Picture Safe or Video Safe (or both) you have no doubt accumulated a lot of precious photos and videos and perhaps you'd like an easy way to copy these across to Video Safe 2 ? We've got you covered. With Video Safe 2 we've added support for iCloud, Apples solution to over the air data storage and back-ups. With an iCloud account you'll be able to send copies of your photos and videos to a private and secure account on Apples servers free of charge AND sync all of your content across multiple devices automatically. Once you have created an iCloud account on your device(s), you can create anew account in Video Safe 2 or enable iCloud for an existing account via the settings section in the app. What happens if I've forgotten my PIN ? VideoSafe comes with the exclusive service RemoteSafe free of charge. RemoteSafe allows you to remotely reset your password via email. RemoteSafe is the only method of PIN recovery so we stress that it must be setup before the event where you lose your PIN. RemoteSafe can be setup when you first install the app or anytime from settings. Snoop Stopper is an original (and now much copied :) security feature of Video Safe. When turned on via settings it provides access to a 'dummy' version of the app containing non private images. The purpose is to serve as a decoy for overly curious people intent on finding out what you have stored in Video Safe. Yes videos and photos can be shown over AirPlay. When AirPlay Mirroring is turned on and VideoSafe is running it will only show the selected picture on the screen. So the user interface, your PIN or any other security related items will never be shown on the screen. Can I custom sort files and folders ? Where is the USB Import ? USB Import is available from the 'Import' menu. Where is the inbuilt browser ? The browser is available from the 'Import' menu. Alongside Video Safe 2 we have released a free desktop utility that copies your content from either of these apps to Video Safe 2. It will copy your pictures and videos exactly as they are arranged (including folders) and import them into Video Safe 2. If you recently purchased a new iPad or iPhone it will even copy them across multiple devices. The highly anticipated sequel to the all time best selling utility on iTunes. Over 4 million users worldwide! Enjoy all your videos, TV shows and home movies directly on your iPad, iPhone, and iPod touch. Watch any format in the highest resolution. Instant playback with no conversion needed. 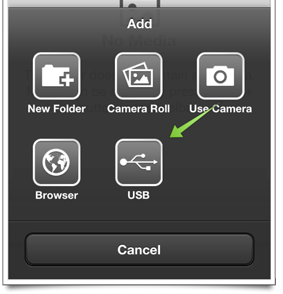 Gain control of your Camera Roll. Easily organise, create folders, import from Mac/PC and share with friends. Sit back and enjoy full-screen slideshow presentations with multiple effects. Password protect your content to restrict access or prevent accidental loss. 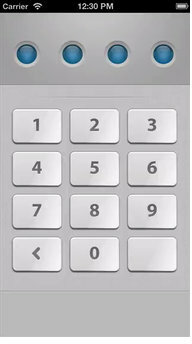 Your peace of mind is assured with VideoSafe 2's incredible range of PIN codes, gesture passwords, intruder alerts and remote reset options. Take the hassle out of backing-up your files or syncing multiple devices. Video Safe 2 syncs your content over the air automatically. No fuss back-up of all your important photos and videos. Access videos stored on your Mac/PC from your iOS devices - anywhere at anytime over WiFi/3G/LTE. AirPlay built-in to enable you to watch full-screen movies on your HDTV or home theatre. One download runs on iPhone, iPad, iPad Mini and iPod Touch. 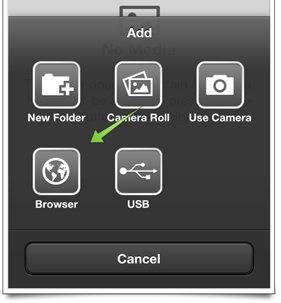 Video Safe 2 is designed specifically for both iPhone and iPad so where ever you view your media it just works. For longer passwords a keyboard entry is available for up to 30 characters. Photo Password lets you login to your account by using gestures on a photo. Manage your entire collection over WiFi with the built in FTP server. Directly transfer media to other devices using Video Safe with Bluetooth. Be alerted when someone is trying to tamper with your Video Safe. Using RemoteSafe™ it's also possible to unlock your app in the event you forget the password. VideoSafe 2 has support for all your favourite types of media right out of the box so you’ll never be left needing to convert or unable to play that important video. Video Safe 2 includes support for streaming videos from a Video Stream server. Access videos in any format from your PC or MAC and stream them via WiFi or 3G instantly and in HD. VideoSafe supports full search capability so you can find your media in an instant. Using AirPlay compatible devices such as an Apple TV you can wirelessly watch videos on your TV. Media can be displayed either as a grid or list giving you the flexibility to view your media the way you want. VideoSafe supports over 6 different languages including: English, Spanish, Italian, French, Chinese, Japanese. Easily keep on track of available disk space with the inbuilt disk usage monitor. Quickly adjust the brightness of the device without leaving the app. Really good, keeps all my media secured. Fantastic, plays everything I throw at it.